Editor’s note: This article was first published as a guest blog post on my friend Cathy Rodger’s blog over at 7 Waves Marketing. Let’s face it. We’re going to be moving around in our careers. The days of staying in one job for 35 years and retiring with a gold watch are over. According to the Bureau of Labor Statistics, the average person born in the later years of the baby boom held 10.8 jobs from age 18 to 42. Given our mobile society, we need to create and cultivate our personal brand as we switch jobs or careers. Large corporations aren’t the only ones who know the value of sticking with a brand. If you don’t believe me, have you tried Googling your name or your “brand name” lately? 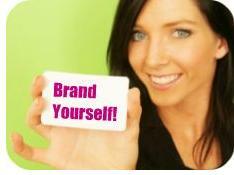 That’s where you’ll see the results of your personal brand building efforts. 1- Have a good web site: As old-fashioned as it may sound in today’s social media crazed world, your web site is still your virtual lobby. It impacts your professionalism and your search. Be sure you’ve engaged proper search engine optimization techniques. I learned this first hand. I launched my company with only a free WordPress blog. That was certainly better than nothing but I saw a major change once I employed a top notch web developer and we co-created a professional web site. 2- Use twitter: Plain and simple – twitter gives you Google juice. By tweeting about topics of interest you will build a base of loyal followers and build your credibility and professionalism. 3- Win awards: Do quality work and apply for awards in your field. It brings you and your clients recognition. 4- Publicize those awards! In addition to issuing a local news release for some recent P.R.S.A. awards that I won for client work I also put the release out on Marketwire. Using an accredited wire service gives your brand staying power and keeps it up in search. I’ve found the Marketwire people extremely helpful to work with and paying for their service is better than the free press release sites. 5- Create and post new content including videos: It will put you in the great minority. Forrester says that only about 25 percent of the people using the social web are actually creating content, like this blog post. Be sure to take this great opportunity to be creative. 6- Get featured in the media: You’re bound to have an area of expertise others are interested in. When I first started my own business I was interviewed by the local TV station about my use of twitter. That springboarded into a three part series called Social Networking 101 that aired on the 6 pm news. Since then I’ve been on the radio several times and the subject of written feature articles. You can do the same for your brand. 7- Use social media channels: Remember to stay active with LinkedIn and Facebook. Be sure you create a Facebook business page for your business. That too will help you in search. Finally, just start somewhere. Create content and build your brand! You’ll already be ahead of 75% of the pack! « What do twitter and the Serengeti have in common? Just ask the elephants! Network, network, network. Connect, connect, connect. This is the new “location, location, location.” Thanks for reminding us of this Mel!!!! You continue to be awesome . . . love reading ALL your material! Thanks Craig! Glad you enjoy it. AWESOME. I am very pleased to be connected with Mel! Thank you again. Don thank you for your kind comments! Glad to you as well. These are GREAT tips, Mel. Thanks so much for sharing your expertise with us. Wonderful tips and great insight. Thanks so much for sharing! Great advice as usual, Mel. Thanks for sharing your tips.